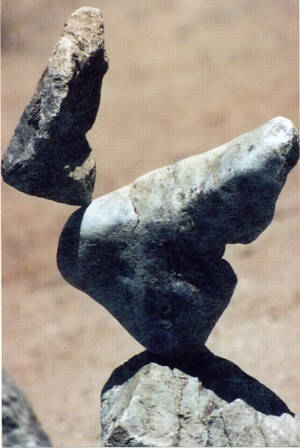 Rock balancing is not "rocket science". All that is required is a basic understanding of gravity (things fall down) and balance (things stand up), and then getting the two to work together. And that's the part that takes practice and a positive attitude. It's amazing that some visitors to this site believe that it's a hoax, despite the hundreds of images shown here of examples done by dozens of people from around the world. 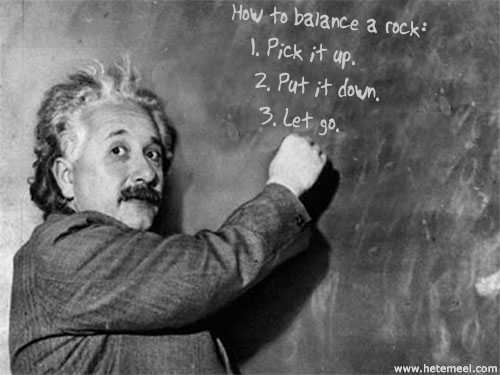 And the doubters would know it's for real, if they just tried balancing a rock instead of thinking they've cleverly figured out that it must be impossible. All it takes to begin is one stone - which, after all, translated into German is "Ein Stein".